Keep your pooch warm and cozy with this officially licensed NFL pet sweater! 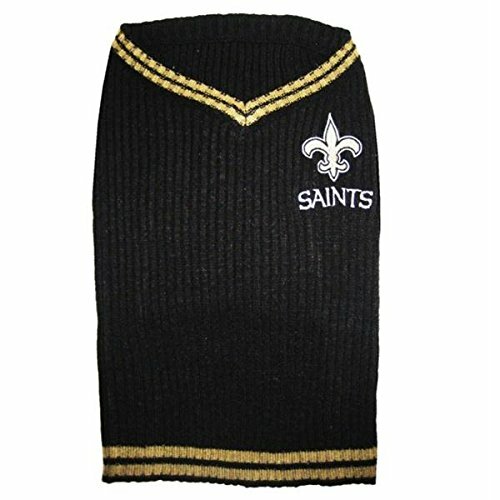 This ribbed knit v-neck sweater vest is 100% acrylic and embroidered with the New Orleans Saints team logo. Sizing Information:Measure your dog from base of neck to base of tail to ensure a proper fit. If your dog is between sizes it is recommended that you select the size larger.